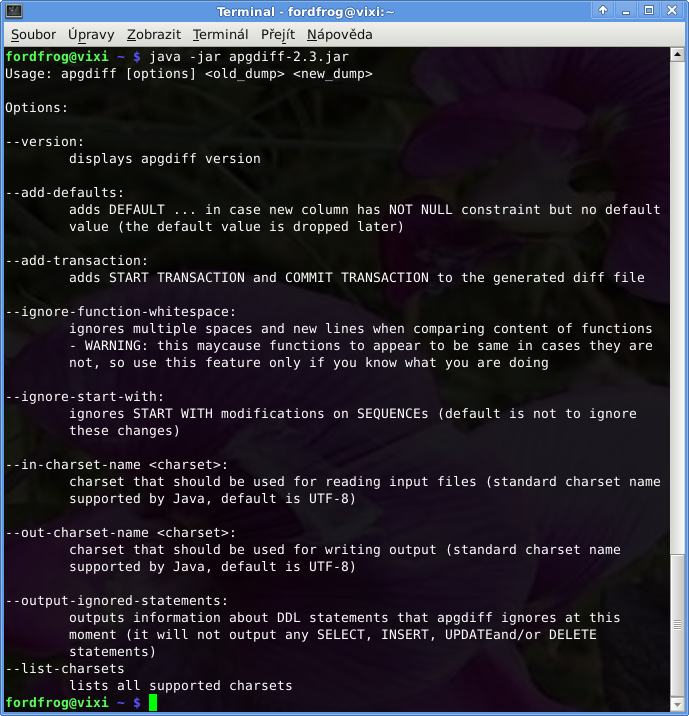 Here you can see screen that displays apgdiff running without any parameters. It's taken from my Gentoo Linux based laptop. Here you can see screen that displays apgdiff when comparing two database schemas, original and new. I used schemas from the application test suite. parameter. Again, it's taken from my Gentoo Linux based laptop. At Softpedia you can see screenshot of version 1.3 from Mac OS X.